Exercise classes for kids are hardly boring at Mile High Fitness in Denver, CO. The fitness center hosts unique camps and exciting classes that will have your child running through the doors. Mile High Fitness especially values health and wellness in children. That’s why the fitness center designed a specialized youth fitness program that aims for healthy, happy kids who look at exercise as a fun and exciting part of their day. And so far, Mile High Fitness is achieving that goal! Coupled with their fitness expertise, the high-energy team at Mile High Fitness take child development into consideration when organizing exercise classes for kids that will spark their interest. Your child will see exercise in a whole new light when they participate in engaging fitness classes with their peers. 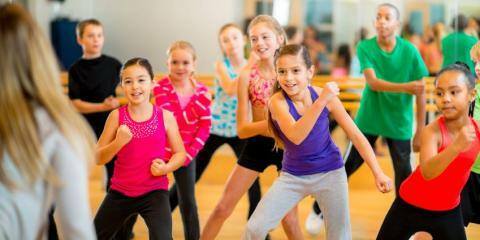 Exercise classes for kids are held before and after school, so they work with any schedule. Your child also has the option to work out at home with Mile High Fitness. Their instructors offer personalized workouts that can be done in any home. The knowledgeable instructors also teach their young clients about the importance of eating healthy at an early age. Your child will learn how to make food choices that will positively affect their body for the rest of their life. If your child is involved in soccer or any other sport, the youth program at Mile High Fitness offers children specialized training that will improve their game. It is important to get kids started early with good nutrition and exercise. Set the foundation to build a healthy lifestyle for your child that will carry on into adulthood with exercise classes for kids at Mile High Fitness. Contact the fitness center today at (720) 436-3899 to sign up for youth fitness classes, and visit them online for more information.